Sinz, Avian, Odi, Kroon Oil, Fly Racing, Zulu, S1, EVS, VeeTire, Promax, HT Components and additional products like Kenny, Shot, Fiveten, etc. Looks like you do 97% BMX racing, no interest in BMX Freestyle? 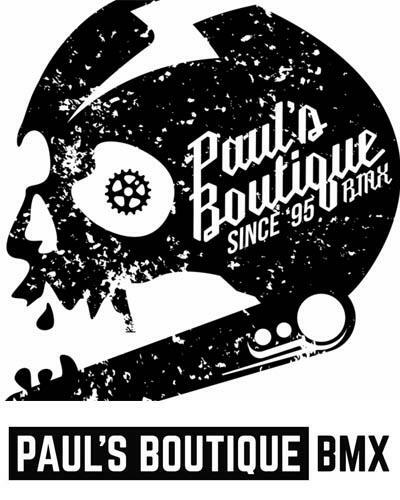 BMX24SEVEN: Yes you're correct, you almost find no Freestyle bikes in the store, our focus is BMX race. At this point there is not much interest for Freestyle but have to say that with Freestyle in the Olympics in 2020 it can be something for the future. You do a lot of custom builds. How long does it take to put one together in your workshop on average? BMX24SEVEN: We do a mix of complete bikes directly from the factory and custom builds. On average we build about 200 custom bikes a year. When all products are available in the warehouse we can build a bike within a week but a lot of bikes got pre-ordered before frames/parts are there and then it takes a little longer. Who is your main wheel builder at the shop? BMX24SEVEN: Willie Meijer (Dutch national team mechanic) and Ivo v.d. Putten (Ex Dutch National Team Member) are our main builders. In the busy period we have external help to deliver quick. We build about 300 Wheelsets a year. What BMX tracks are near the shop? BMX24SEVEN: Volkel is about 25Km, Erp is about 33 Km, Wijchen is about 30 Km, Venlo 45 Km, Oss is about 44 Km. Do you do vending at BMX races? BMX24SEVEN: We pick on average 1 event a year t hat we go to and build up our setup. When we go, we like to do it well and that costs a lot of time which takes us out of the store and the office. Internet sales are big these days. Also for BMX24SEVEN? BMX24SEVEN: Have to say that the start-up was not easy several years back but now it is picking up pretty well. We sell worldwide and can deliver quick and that is an important thing with online sales. We send out products the next working day. What bicycle trade shows do you attend with BMX24SEVEN/Meybo? BMX24SEVEN: We did Bikemotion but we took it off the schedule the last 2 years due to the costs and the lack of interest for BMX on shows like this. Meybo always have a bike at EuroBike and Interbike at one of our suppliers. When it is possible we make our own show at the World Champs or Euro Champs and present the new products. Sponsoring has always been a big thing with many teams riding Meybo bikes. What teams will ride Meybo in 2019? BMX24SEVEN: Yes sponsoring is an important thing in our marketing program. We support on the highest level but give attention to the local riders as well to make sure people are aware of the shop and Meybo Bikes. I think we have about 6 teams we support and a couple of individual riders. What are some of the biggest victories that your riders had? BMX24SEVEN: When you talk about Meybo we did great the last couple of years. We got a European title in Junior Women Class, Elite Woman Class and Elite Men class. We got a world title in Junior Women Class, Junior Men class, Elite Women Class, Elite Men Class and a couple more podium places. At the 2016 Olympics in Rio Jelle van Gorkom picked up Bronze on his Meybo bike. Has everyone in the company raced BMX? BMX24SEVEN: Basically yes, even though it was not all that serious for Willie :-). But it helps to have people around who rode in competition and have a passion for what they do. Where can people find the shop?